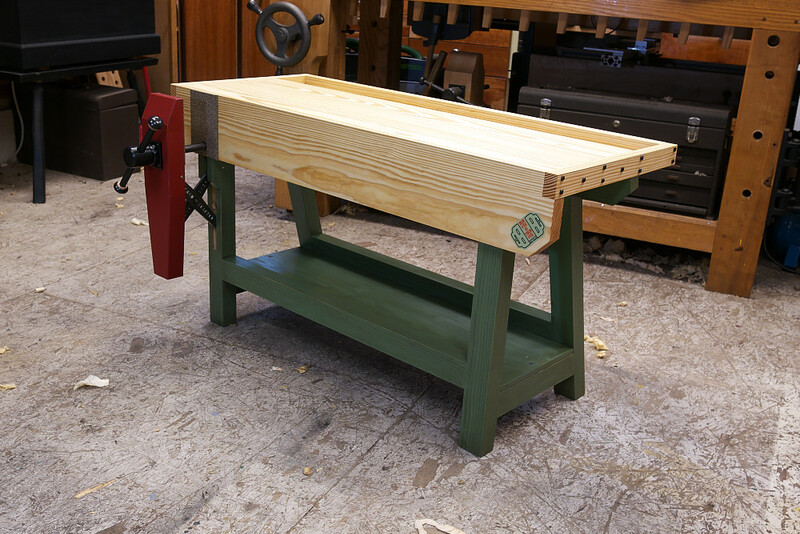 Here's Roy's presentation from Handworks 2017. 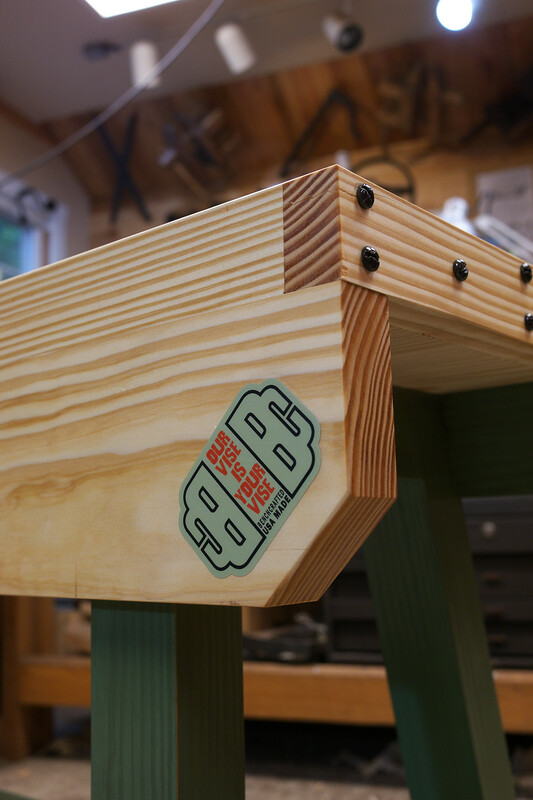 We wanted to do something special for Handworks 2017, so here's what we came up with. A bench for kids! Vol. 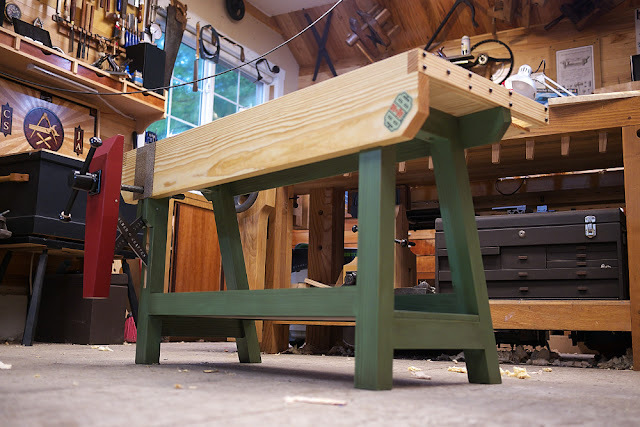 4 of "The Woodworker" features a basic bench as its first article. We had three planks of yellow pine gathering dust in the corner, so we tossed together this bench over a couple days last week. It's 24" high, which should be perfect for a wide range of kids. To scale it down, we drew the major components in Sketchup full size, then scaled the model down based on the shorter height. It scaled great. 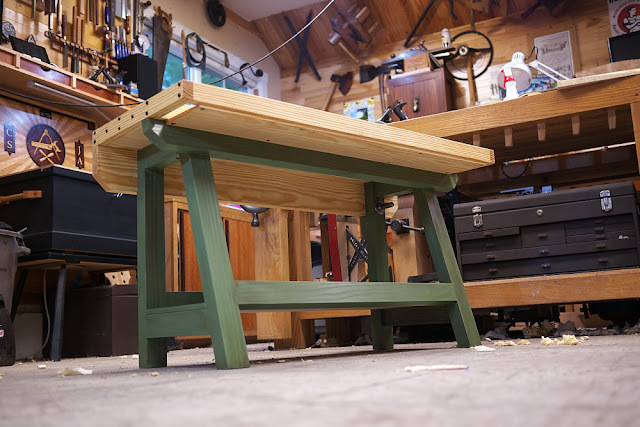 Joinery is half lap dadoes on the front and read skirts, and a pair of 10mm Dominoes in each joint. 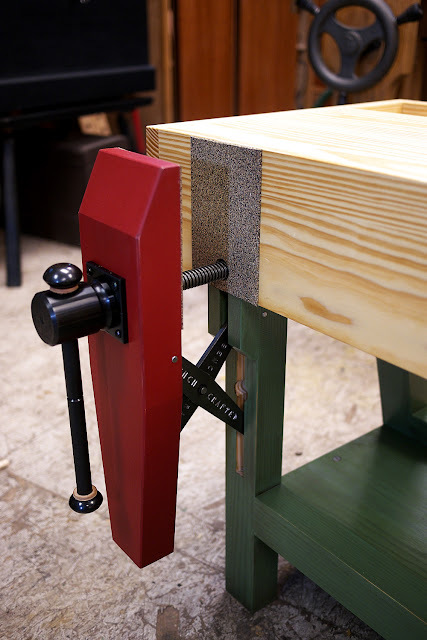 It's outfitted with our Hi Vise, which makes an excellent leg vise for smaller full size benches, or obviously for kids' benches too. 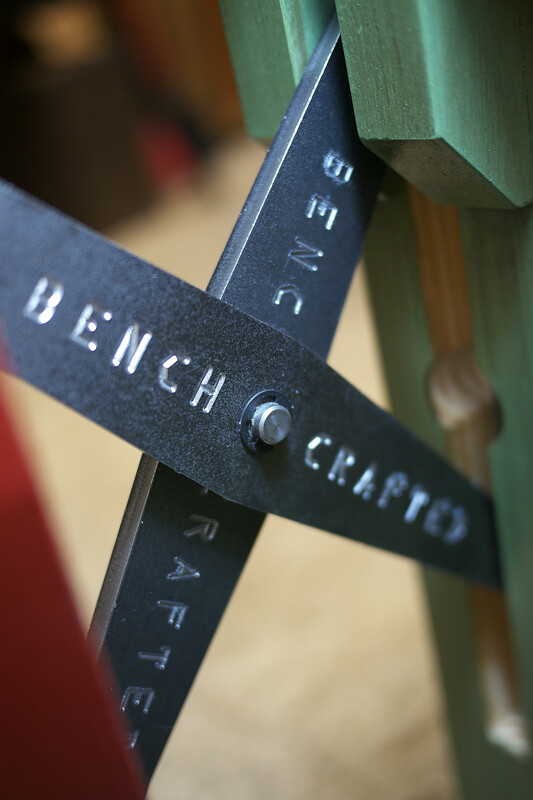 The bench will go home with one kid, free of charge, courtesy of us! Here's how to win the bench (parents, read this to your kids). We'll have a piece of clear, easy to plane basswood chucked in the vise. With a sharp Stanley #3 that we'll leave on the bench, the kid will try their best to make a full width, full length shaving from the edge of the board, under the coaching of their parent or us. They should practice making the best shaving they can. 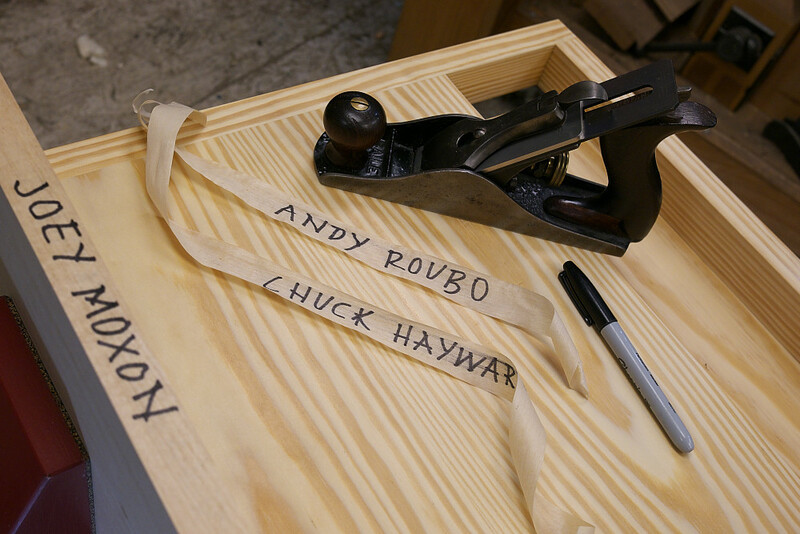 Once they are ready to make their final excellent shaving, they'll write their name on the edge of the board, plane it off, and put the shaving in a box. On Saturday afternoon at 3pm we'll draw one shaving and that kid will go home with the bench. 1. The kid must not be taller than 54". 2. One shaving per kid goes in the box. Parents feel free to make the final perfect shaving for your kid if they can't. Hopefully that kid will win the bench so they can practice back home. Handworks........is the Midwest just too far or remote? 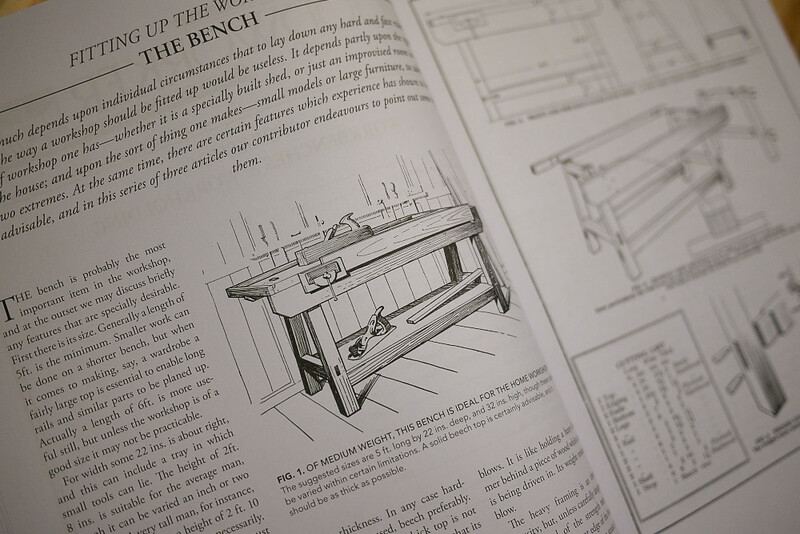 Handworks is now just 2 weeks away. This will be the third bi-annual event and as we've said many a time before, you never know when there will be another. Though we've followed the bi-annual pattern so far, we literally never know if there will be another one until some months later. So if you are on the fence, better act if you can. - It offers something for everyone, literally, if you or someone with you can't find something of interest in Amana or at one of the event venues then you probably have a hard time finding interest anywhere. As for travel and attendance. Yes, it can get crowded, registration is well over double the previous event, but we've spread things out this year into 5 venues, which should really make things nice.